When you convert videos, especially big sized HD videos, you care a lot about the conversion speed. Adoreshare Video Converter Genius takes advantage of GPU acceleration and batch conversion to shorten conversion time dramatically. It ensures you an extraordinary 30X faster conversion speed, saving your time to a large extent. You could utilize batch conversion to convert a bunch of videos all at the same time. 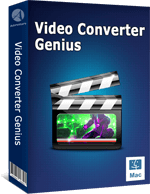 Adoreshare Video Converter Genius supports to convert among more than 100 video and audio formats. Convert videos to and from SD video formats like MP4, AVI, FLV, MOV, AVCHD, M2TS, MTS and HD MOV. Extract audio from video files. Supported audio formats include MP3, MP2, AAC, AC3, WAV, WMA, M4A, RM, RAM, OGG and FLAC. Make your videos playable on portable media players like iPhone, iPad, iPod, Apple TV, HTC, Motorola, Nokia, BlackBerry, Sony Ericssion, Samsung, LG, PSP, PS3, Xbox 360, Microsoft Zune, Archos, Creative Zen, Android OS smartphones and tablets. 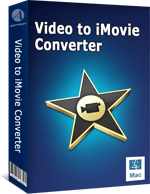 Convert videos to popular video editing software like iMovie, iDVD and Final Cut Pro. Convert your videos to load for sharing on websites like YouTube, Vimeo, Facebook, Twitter. If you have no idea what format your device is compatible of, simply browse to find the icon of your device and set it as the output format to convert media files to fit your device. 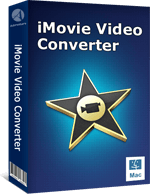 Video Converter Genius has a built-in video editor which allows to easily perform all the basic editing features to personalize your video files. Fully compatible with all Windows OS including Windows 10, 8.1, 8, 7, Vista and XP. Simple UI and easy-to-follow wizard offers a wonderful video conversion experience. Easily take snapshots of any video scenes while previewing your video files. Virus-free and does no harm to your videos or movies. "It is wonderful and it supports so many formats. I don't need to worry about the formats of the videos anymore." "I've almost doubled my music collection thanks to this tool - and I even extracted some of my favorite dialogue from movies and reused it in my home videos."